Freelancing while offline: can we work without the web? I currently have no broadband access at home. Just take a moment to absorb that: No. Broadband. Access. I know, it’s a practically mediaeval state of affairs but, until Thursday, it’s how it is. In a bid to be mature and not completely freak out, I spent the days before the outage gathering together apps, software, websites and tips on managing without WiFi while still trying to run a business. And stay sane(ish). So, in this post I will go through some of the best ideas and tools available for coping without a regular broadband connection. I was in the fortunate position of having a few days’ notice of my impending broadband outage. This meant that I had the chance to do a degree of preparation for as many eventualities as I could think of. However, we can all find ourselves with an unannounced or unplanned broadband failure and, in those circumstances, it is impossible to just ‘nip online’ to download the software and get the advice you need! Because of this, I would recommend putting some preparations in place so that, if you are faced with connection error messages, you are not completely helpless. The mobile broadband dongle I bought has come in handy. It’s a fairly expensive way of accessing the internet but it’s a very useful for connecting a few times a day and catching up with everything that’s going on. Spending a few hours a day at venues with WiFi access has also been pretty essential. I’ve been using The Cloud app on my Android phone to find cafes and bars with free WiFi, but there are many places that offer WiFi outside of The Cloud network, too. 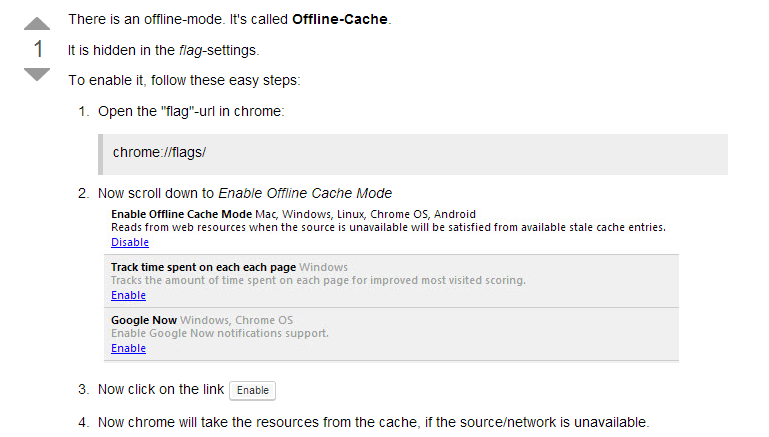 If you manage your email through gmail, Gmail Offline is invaluable. It syncs your inbox when you are online and then, when you have no internet connection, you can work your way through your inbox, reading messages and writing replies or new emails through the Gmail Offline interface. When you next go online, the emails in your outbox will be sent and the messages you’ve received will be downloaded. Gmail Offline is a little slow and buggy but, even so, it is proving incredibly helpful to me at the moment. This was a biggie. 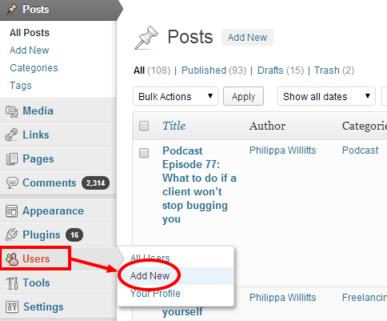 I wanted a way to write and prepare blog posts without needing to be online while I did it. When searching Google for answers, I was mainly seeing solutions for people whose WordPress sites had broken and gone offline, but eventually I found what I wanted. I downloaded some free desktop software called WebStory, which is what I am using to write this post. WebStory allows you to download your posts, pages and comments, so it’s a nice way of getting a backup of your website, too. Then, you can use the software to create new posts and pages and, when you go back online, you can publish them to your site. For security reasons, I created a new user account for the site that is specifically to use with this software. That way, if there seemed to be any security vulnerabilities, I would be able to remove this account’s posting permissions. This avoids compromising the primary user details you use for your website. You could, of course, just use your usual Word Processor to write posts offline, but the benefit of WebStory is the ability to upload directly to your site, view the post in your blog’s template, use html, and back up the rest of your posts and pages to your computer, too. The Send to Kindle extension allows you to send any webpage to your Kindle device to read later. Pocket is a tool where you can bookmark webpages and websites and then read them later. Importantly, any site you bookmark can be accessed offline, too, so if you need to do extensive research for an article you’ll be writing when offline, you can use Pocket to store all your reference articles. Pocket also has a range of smartphone apps, so you can sync articles you find between your devices. CutePDF is a simple tool that allows you to ‘print’ any webpage you look at to a PDF document. After installing CutePDF, you send a webpage to be printed and, from the dropdown box of printer choices, choose CutePDF. You then choose which folder you want the PDF file to be stored in, and it takes it from there. NewstoEbook.com is a pretty smart tool that allows you to connect to your Feedly account and download the 50 latest posts in any given category as an eBook. You can choose whether to get them as an .epub or .mobi format, so I chose .mobi so that I could read them on my Kindle. Once I had downloaded the files, I used the unique email address provided by Amazon to send them by email to my Kindle and, lo and behold, there they were. Alternatively, you could download software that reads .epub files and use that to read your Feedly posts offline. NewstoEbook is a free service. The formatting isn’t always brilliant, but it does what it does very well. Planning and organisation are key. If you are only going to have a couple of hours’ broadband access, for instance in a cafe, you need to do as much preparation in advance as possible. This way, you can really make the most of the connection when you have it. For instance, I didn’t need to be online to edit this week’s podcast, but I will need to be online to post it. Using my precious broadband hours for editing would have been a complete waste, when I could have been using that time for surfing, researching, emailing etc. If there are tasks that are easily done offline, don’t do them when you’ve got rationed internet access. 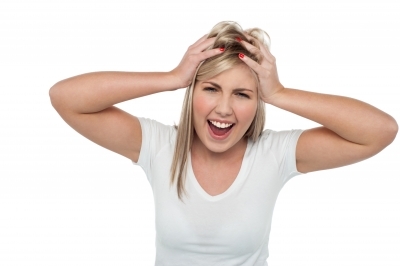 Another vital point is to let your clients know that you are having connection problems. I informed certain, regular clients in advance and then set up my email out-of-office reply so that anyone who emails me this week gets a quick summary of my situation. 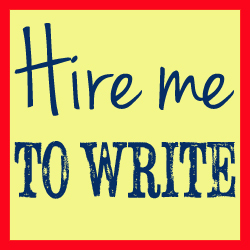 I was careful to reassure people that I’m not completely stranded – I didn’t want anyone to panic and find a new writer! – but I explained why I may be less quick to respond than usual. And finally, if you use an online back-up service (I use BitCasa) to keep up-to-date copies of all the files on your computer, remember that this will not be active during your time offline. What’s more, if you’re connecting occasionally with a mobile broadband dongle, you really don’t want your automatic back-up software to use up all your bandwidth, so make sure you manually switch it off for the time being. Online back-up services tend to run quietly in the background so we often forget they are there. However, you don’t want to risk losing any important documents that you work on when you’re off the grid, so you might want to invest in an external hard drive (I’m using this one), or even just a USB memory stick, to make sure everything is safe and backed up while the automatic back-ups to your usual service are interrupted. I shouldn’t be surprised, really, that time offline has boosted my productivity. When I have to find my phone to check Twitter, and when sites I vaguely want to peruse require me to connect the dongle, I tend not to bother. Instead, I’m actually on top of my email inbox and I’ve written this 1,500-word post, amongst many other things. The need to plan my time out carefully is also having a positive effect that I hope will stick around. I know what I need to do, and when, and I have to prepare for pieces of work meticulously so that I’m not caught out. While I most certainly wouldn’t recommend being stranded without the web for a week, it’s an interesting exercise now that I’ve been forced into this situation. I hope that at least some of the clarity and focus continue when I’m reconnected to the world. Watch this space. Philippa, you did a great job. You did even more than I bargained for. I appreciate that and will definitely send you some more work. Great! Great! Great! Amazing work ! Thanks for going BEYOND my expectations. I will be sending you more work soon. What a difference between my old CV and NEW CV THANKS A MILLION!